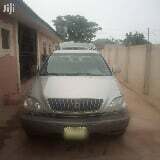 Very Clean Lexus Rx300 For Sale With Low Mileage. The Suv Is In Good Condition. Buy And Drive. The Car Is Located In Ondo Town. For Purchase. Lexus Es 300 Foreign Use Availiable For Sale. Any Interested Buy Should Contact Us For More Details. The Car Is Extremely Clean, Direct From U. S.A. Accident Free. 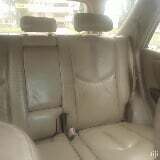 Tokunbo Lexus Es 350 Super Clean, No Single Fault, Ac Chilling. Very Clean First Body. Just One Year Used. Perfect Engine And Gear. Chilling Factory Fitted Ac.